Leaving your job isn’t a decision that should be taken lightly. There are financial responsibilities, familial obligations, and fear of the unknown that are all very serious considerations when debating this kind of change. Choosing to leave your job is a highly personal decision, but if you’re still mulling over the decision reflect on whether you’ve noticed any of these signs in your work life. You feel unchallenged, and your superiors don’t offer interesting opportunities. Smart people need challenges and rewarding work. Without that, talented employees quickly grow bored and miserable with their work. When you’re more interested in stability and a steady paycheck, it’s hard to notice, but after some time it’s rather hard not to feel the repetitiveness of the tasks at hand. If you find yourself heading into work dreading the tedium of the day, and interesting ideas you’ve proposed to your boss go ignored, it might be time to find a place that actually uses your talent. You’re in a toxic work environment where office politics overpowers shared purpose. Productive people don’t have time for petty squabbles, and it can be exceptionally frustrating to have to engage in it. It’s even more of a hindrance in the workplace when it leads to delays and difficulty giving or receiving feedback. In some cases, a shift in a workplace’s atmosphere is temporary and resolved by a manager who recognizes the noxious environment. But if the office climate is a continuous feature of the office and you feel like you can’t get anything useful done, consider quietly searching for work elsewhere. You have a certain business idea or project. In some cases, there’s nothing wrong with the actual work environment. Rather, there’s a nagging project you’ve always wanted to pursue but never had the time or money to. Perhaps now you do and you’d like to develop that business idea that’s been sitting in the back of your mind or write that book you’ve been outlining on the side. Practical responsibilities are important, which is why you likely didn’t drop everything sooner, but once you’re in a place to pursue a long-held passion take the plunge if you can’t stop thinking about it to avoid regret down the line. 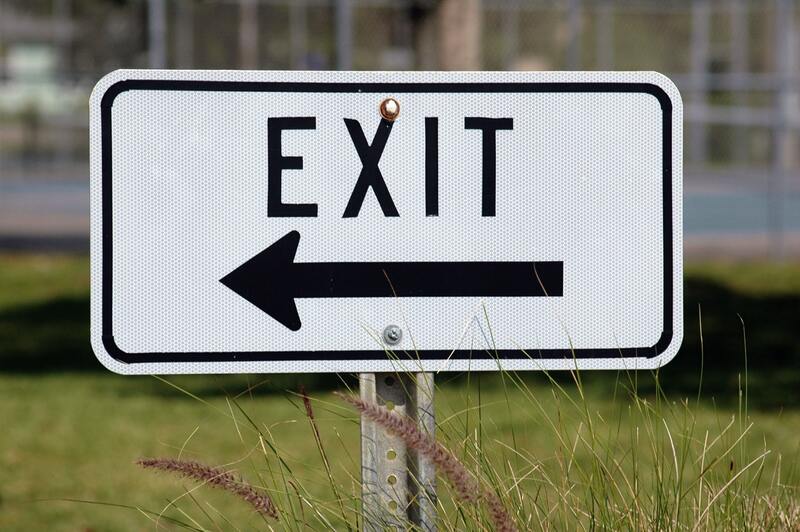 If you handle the exit strategically, you might even have a safety net in the form of your old job. Your health is being affected. It’s unfortunate how willing we are to compromise our well-being for our jobs. Proper diet, exercise, and sleep all fall by the wayside because we simply don’t have enough time. Run-of-the-mill laziness like failing to prep meals or go to the gym is one thing. Experiencing severe stress is another. Chronic stress leads to serious health conditions, and it’s often caused by systemic issues in a workplace. A heavy workload now and again is acceptable. A monstrous boss or ridiculously long work hours that lead to serious illness are not. You’re overqualified, and there’s no room for advancement. This one’s a bit different from boredom. You may not be bored, but you’re definitely being under-used, and more importantly, under-paid. You know what you’re capable of and you even have recruiters contacting you. In this case, it’s smart to go looking for greener pastures, since you have no tools with which to till your own soil. You can’t see yourself working for this company in a year. If you can’t picture yourself at this company a year from now – either because you’d leave or because you think layoffs are imminent – stop wasting time and start looking for new opportunities now. Keep in mind that leaving your job isn’t the only answer. Maybe none of these signs fit the bill, and you simply need a break. Taking an honest look at your physical and mental health as well as your goals for the future should help you make the right choice.